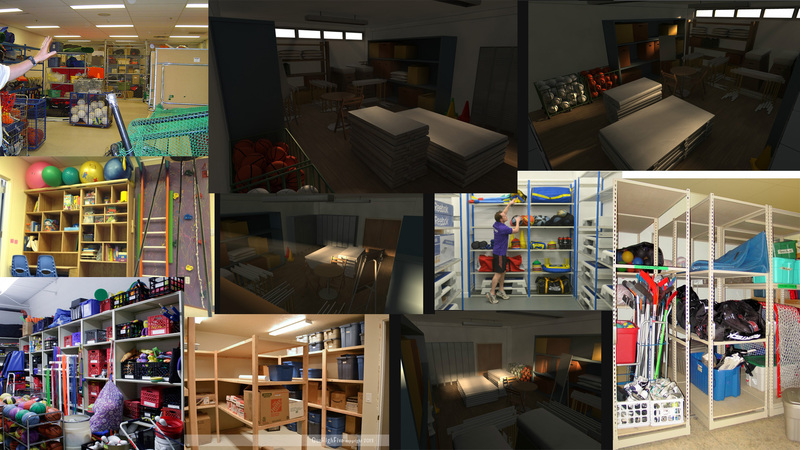 Storage Room Research and Blockout..
To help me get a feel for storage rooms and what they generally look like but more specifically gym storage rooms I collected some images and made a collage. Obviously mine will look different been 14 years after a zombie apocalypse but it gives me a general idea. 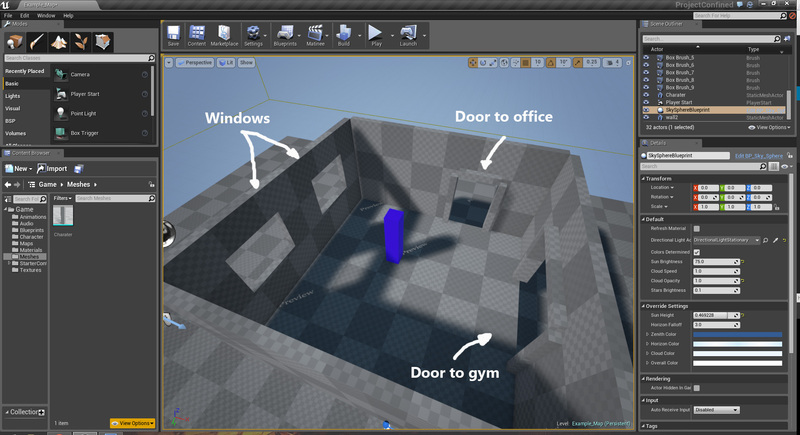 below is the initial blockout of the room without any blocked out assets yet. The room is subject to change depending on how well I think the space is being filled by the assets I create. From my research most storage rooms don’t seem to have windows so I may change mine to have smaller windows or none at all.